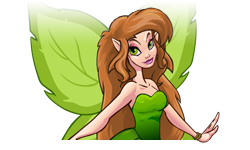 Welcome to the Majestic Malls Faerie Quest page! Ctrl + F to locate your item. 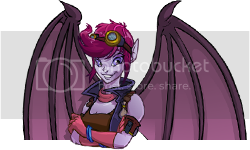 For Majestic Mall members interested in contributing their shop to accommodate Faerie Quests, please see Partitioning. Neomail Melyn to reserve open partitions. Masters of weather and the sky, Air Faeries are known for being a little flighty. Perhaps they're just very busy; they do need their beauty sleep, after all. 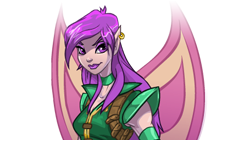 If you help an Air Faerie find the beauty products that she needs for her spells, she will grant the gift of speed. Have the item? Click here to deliver it to her! Item sold out? 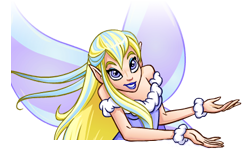 Click here for more Faerie Quest item links! 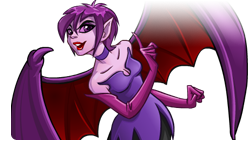 Though most Neopians fear and distrust these creatures, Queen Fyora claims that Dark Faeries are not all evil. Their spells require plushies that resemble real Neopets, and they reward you with health... so hopefully, Queen Fyora knows what she's talking about. Kind-hearted protectors of nature, Earth Faeries love to take care of Neopians and make sure that everyone has enough to eat. 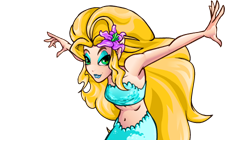 Find the magic items that these sweet faeries need for restoring Faerieland, and they will grant you various advantages in battle. Fierce and quick-tempered, Fire Faeries have a reputation for impatience. They hate to be kept waiting when they ask for your help replacing clothing that was ruined in the fall of Faerieland, but if you return with their items quickly, they will make you stronger in fights. Said to be great seers, Light Faeries use simple trading cards to predict the future. But because the cards are fragile, the faeries often need new ones, especially now that Faerieland's future is uncertain. If you help them, then they will help you achieve new levels of power. Wisest of the faeries, Water Faeries guard the ancient secrets of magic, which has given them a reputation for haughtiness. Because they prize all knowledge, they will ask you for books, and if you help them, the Water Faeries will toughen your defences in battle. Four Leaf Clovers - Fact or Fiction? Fierce and courageous, Aethia the Battle Faerie wields the Sword of Flame and the Sword of Ice against those who would do harm to Neopia. She also likes watching a good fight in the Battledome and is generous with worthy warriors who bring her the battle supplies that she requires. Naia is convinced that she has the best job in Faerieland, granting Neopets their favourite colours with a dip in her magical Rainbow Fountain. Her cheerful singing can be heard all day, and she loves to hear the latest gossip. Complete her quest, and she will grant a new paint brush colour! The Space Faerie Mira rarely visits the planet that she protects, preferring to defend Neopia from outer space, but she is really rather fond of Neopians. 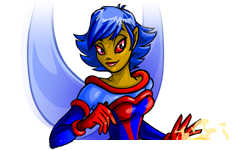 Though she may seem otherworldly, sometimes speaking telepathically, being chosen for her quests is a great honour. 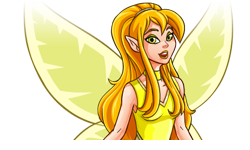 As Faerie Queen, Fyora rules the kingdom of Faerieland with a gentle hand. She is rumoured to be the most powerful faerie alive, but rarely shows her dangerous side, preferring grace and kindness. Though her requests are often the hardest to fulfill, her rewards are beyond measure. 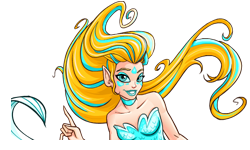 Taelia, The Snow Faerie, lives among the harsh climate of Terror Mountain. Taelia is always in need of spell ingredients. If you pay her a visit she will reward you most kindly for your aid. Reward: Snowball, 1000-2500nps and a random item. Illusen lives in Meridell. She has a total of 50 quests to offer you. In the beginning she will ask you for cheap, easy to get items. However, the further you move up in level, the more expensive items she'll want. If you choose to do a quest you have 16 minutes to complete it. If you fail, you will go back to level 1. Jhudora lives in Faerieland. She has a total of 50 quests to offer you. In the beginning she will ask you for cheap, easy to get items. However, the further you more up in level, the more expensive items she'll want. If you choose to do a quest you have 16 minutes to complete it. If you fail, you will go back to level 1. Faerie Quest items of each category are partitioned between Majestic Mall members. The table below illustrates the distribution of incumbents. Neomail Melyn to reserve any open partitions!